They say, "tidy house, tidy mind". If you spend your time in a cluttered space, chances are you have a cluttered mind. But how can objects really effect your brain and why do we have clutter in the first place? No matter how tidy of a person you are, everyone has cluttered areas in their home. Maybe it's hidden away, but it's there - the basement, closets, garage etc. In this day and age, it is very common to collect things - even if we don't necessarily need these things. They end up piling up over time and unfortunately, they can influence your peace of mind. Various studies have shown that a cluttered environment contributes to increased levels of cortisol. Cortisol is a stress hormone released by the adrenal glands. It's important for helping your body deal with stressful situations, as your brain triggers its release in response to many kinds of stress. Don’t wait, start taking these steps today! 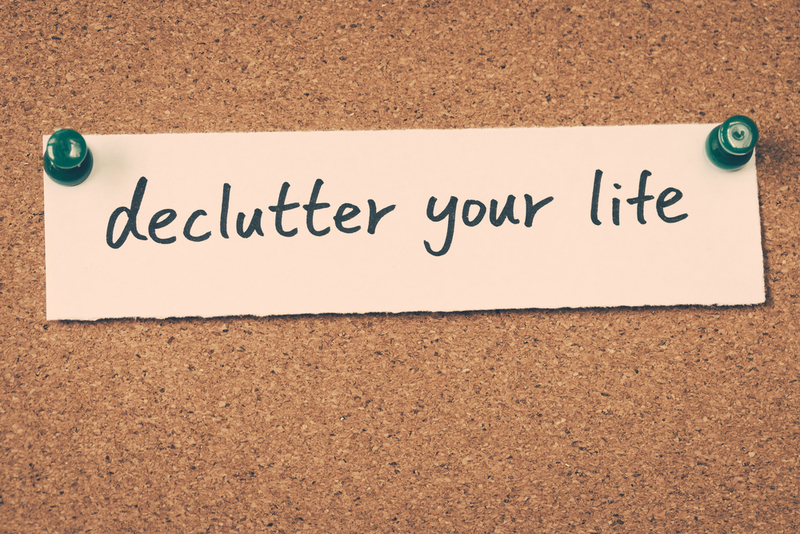 Kick off 2018 with a clearer, more stable mind by decluttering your most cluttered spaces!